The USSSA Spring Championships 3 is a yearly event attracting teams from all over the US and Canada. Players must be born in 2002, between May 1 to December 31. 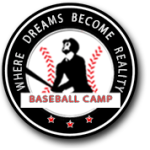 The BLE trip will include on field workouts over three days, intersquad/exhibition games, an MLB Spring Training game(s), transportation (to and from hotel) and tournament (three games guaranteed – with possible chance of more if the team advances). The Duration of the Trip is from March 11 – 15 and will include the opportunity of tuning up your game over spring break with former Canadian Olympic Team coach Marty Lehn and ex. Big Leaguers Bob Didier and Albie Lopez.